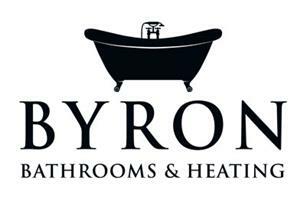 Byron Bathrooms & Heating - Bathrooms, Central Heating Engineer based in Eastleigh, Hampshire. Hello, I'm Alistair Byron and welcome to Byron Bathrooms and Heating! We produce only the best Bathrooms, Wet rooms and heating installations. With great attention to every detail and bespoke design, we tailor everything to your personal requirements, injecting character, style and warmth into your home. Our passion for Bathrooms and heating installations is second to none, we take great pride when our customers tell us that we have "surpassed their expectations", or "we no longer wish to move anymore, but when we do, you can come and refurbish our bathrooms." Myself and my team are very proud of our workmanship and your comments are greatly appreciated. We provide the complete package, from design, right through to completion. We can talk you through the best products available on the market and where to purchase them from. Every bathroom is unique and every heating and hot water installation has its own requirements. The design is paramount to the success and beauty of your finished room or installation. This is why we offer a free quotation process, we will cover every angle and therefore there will be no unexpected charges! Our customers are the key to our success! We treat your homes and possessions with the utmost respect and protect all your surfaces! We are reliable and pride ourselves in keeping appointments, and keeping you involved and informed on all key decisions during your project. We cater for every budget, from small cloakrooms to complete new build projects, our team of Gas Safe engineers and fully trained tradesmen are familiar with the latest products available on the market. Hot water cylinders, Landlord Certificates and Boiler Breakdowns. Oil Boilers, Natural Gas Boilers, Condensing boilers, Combi-boilers, Ground source Heat pumps, Air source heat pumps, Central Heating Systems, Gas cookers, Gas Pipework Alterations, Bathrooms, Wet Rooms.